A wider view of the open area where we spent much of the evening. Hopefully, we'll enjoy similar weather on future outings. 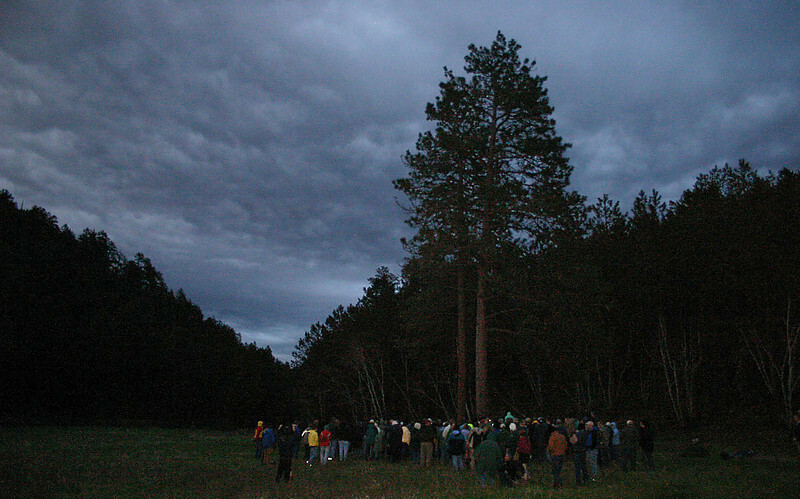 The next Moon Walk is Saturday, June 26, Forest Wildflowers. Forest botanists will introduce visitors to the habitat, identification, and management of a variety of wildflowers -- and possibly some rare plans of the Black Hills. Make plans to join us! If you'd like to revisit Moon Walks from last year, go to our 2009 Moon Walk Gallery. Or return to Black Hills Journal.